The study was conducted by Cambridge researchers. 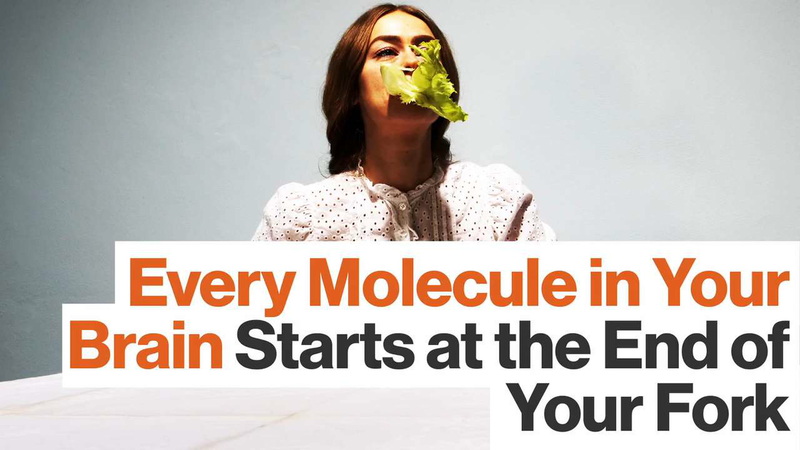 Science is uncovering more and more evidence that what we eat affects our brains. There's even evidence that obesity has real consequences for our bodies, among them, increased oxidative stress, decreased production of antioxidants, and inflamed fatty tissue. All of these are similar to the normal biological processes associated with aging. Scientists just discovered an even stronger correlation in a newly published study. Published in the journal of Neurobiology of Aging in 2016, the results of the study suggest there is a big difference between the brains of obese and lean middle-aged people. Five hundred and twenty participants between the ages of 20 and 87 were observed by researchers at the University of Cambridge over the course of 5 years. The average age of the participants was 54. The research team divided the data into two groups (lean and overweight) and monitored the participants' overall brain patterns via MRI scans at regular intervals over the duration of the testing period. Their findings were surprising. The researchers observed less amounts of white matter in obese participants' brains than the lean participants. White matter is “the subway of the brain," connecting gray matter and using electrically insulating white-pink colored myelin sheaths to fire neurological signals through your brain in a split second. Less amounts of gray matter amounts to less quick neural processing, which is a sign of cognitive brain decline associated with aging. The decrease of white matter only happened in patients who had already reached middle age. In order to verify their findings, researchers double-checked all of those findings by re-calculating the results of 100 randomly chosen brain scans. The researchers also reviewed various health and lifestyle factors over the course of the study, including “self-reported history of diagnosis of diabetes, stroke, cancer, myocardial infarction, high blood pressure and high cholesterol." After accounting for all of those factors, the widespread decrease of white matter associated with being overweight was the same. The correlation between obesity and cognitive decline remained. “As our brains age, they naturally shrink in size, but it isn't clear why people who are overweight have a greater reduction in the amount of white matter," said lead author Dr. Lisa Ronan in a statement. “We can only speculate on whether obesity might, in some way, cause these changes or whether obesity is a consequence of brain changes." Obesity isn't the only behavior that causes these sorts of effects on the brain. Drugs can negatively affect the brain in many ways according to the National Institute of Drug Abuse. Marijuana and heroin activate neurotransmitter in the brain and transmit errant, erratic signals to the rest of your system. Amphetamine and cocaine release abnormally large neurotransmitters into the brain, flooding it with communication signals and disrupting the brain's communication channels to the rest of your body. Excessive alcohol consumption similarly disrupts neural communication patterns, according to the National Institute of Alcohol Abuse and Alcoholism. “Alcohol interferes with the brain's communication pathways," they explain on the very first line of their website, “and can affect the way the brain looks and works. These disruptions can change mood and behavior, and make it harder to think clearly and move with coordination." Eating junk food is harmful to your brain, too. A 2008 study in the journal Nature Reviews Neuroscience found that eating high-calorie, low-nutrition foods slows down cognitive synapses. Lead researcher Fernando Gómez-Pinilla explained: “Brain synapses and several molecules related to learning and memory are adversely affected by unhealthy diets," he said in a statement. He greatly reduced his intake of both junk and fast food after reviewing that study. In short, eating a nutritious diet doesn't just do your body good; it does your brain good, too. Think about that the next time you reach for those Oreos.